Possibly the best documented skinwalker beliefs are those relating to the Navajo yee naaldlooshii (literally "with it, he goes on all fours" in the Navajo language). A yee naaldlooshii is one of several varieties of Navajo witch (specifically an ’ánt’iihnii or practitioner of the Witchery Way, as opposed to a user of curse-objects (’adagash) or a practitioner of Frenzy Way (’azhitee)). Technically, the term refers to an ’ánt’iihnii who is using his (rarely her) powers to travel in animal form. In some versions men or women who have attained the highest level of priesthood then commit the act of killing an immediate member of their family, and then have thus gained the evil powers that are associated with skinwalkers. The ’ánt’iihnii are human beings who have gained supernatural power by breaking a cultural taboo. Specifically, a person is said to gain the power to become a yee naaldlooshii upon initiation into the Witchery Way. 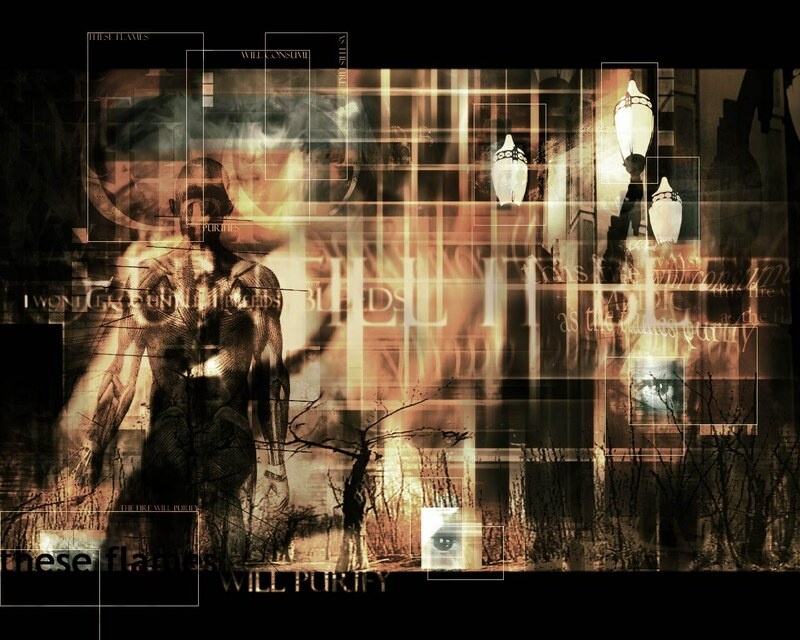 Both men and women can become ’ánt’iihnii and therefore possibly skinwalkers, but men are far more numerous. It is generally thought that only childless women can become witches. Some Navajo also believe that skinwalkers have the ability to steal the "skin" or body of a person. The Navajo believe that if you lock eyes with a skinwalker they can absorb themselves into your body. It is also said that skinwalkers avoid the light and that their eyes glow like an animal's when in human form and when in animal form their eyes do not glow as an animal's would. Because animal skins are used primarily by skinwalkers, the pelt of animals such as bears, coyotes, wolves, and cougars are strictly tabooed. Sheepskin and buckskin are probably two of the few hides used by Navajos; the latter is used only for ceremonial purposes. Often, Navajos will tell of their encounter with a skinwalker, though there is a lot of hesitancy to reveal the story to non-Navajos, or (understandably) to talk of such frightening things at night. Sometimes the skinwalker will try to break into the house and attack the people inside, and will often bang on the walls of the house, knock on the windows, and climb onto the roofs. Sometimes, a strange, animal-like figure is seen standing outside the window, peering in. Other times, a skinwalker may attack a vehicle and cause a car accident. 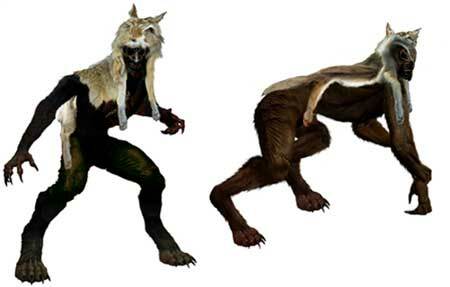 The skinwalkers are described as being fast, agile, and impossible to catch. Though some attempts have been made to shoot or kill one, they are not usually successful. Sometimes a skinwalker will be tracked down, only to lead to the house of someone known to the tracker. As in European werewolf lore, sometimes a wounded skinwalker will escape, only to have someone turn up later with a similar wound which reveals them to be the witch. It is said that if a Navajo was to know the person behind the skinwalker they had to pronounce the full name, and about three days later that person would either get sick or die for the wrong that they have committed. Legend has it, skinwalkers can have the power to read human thoughts. They also possess the ability to make any human or animal noise they choose. A skinwalker may use the voice of a relative or the cry of an infant to lure victims out of the safety of their homes. Skinwalkers use charms to instill fear and control in their victims. Such charms include human bone beads launched by blowguns, which embed themselves beneath the surface of the skin without leaving a mark, and human bone dust which can cause paralysis and heart failure. Skinwalkers have been known to find traces of their victim's hair, wrap it around a pot shard, and place it into a tarantula hole. Even live rattlesnakes are known to be used as charms by the skinwalker. According to Navajo myth, the only way to successfully shoot a skinwalker is to dip bullets into white ash. Often people attempting to shoot a skinwalker find their weapon jamming or frozen. Other times the rounds fire but have no effect. There are a few legends to the roots of the skinwalker. One such comes from the long walk. During this time, Skinwalkers would shapeshift to flee the horrors of living under the torture of the white man. It made them faster and the soldiers were unable to detect them running. Another was that the skinwalker was started by the poor community in the old days. At night a skinwalker would dress up in ceremonial dress and go from door to door. The more well-off people would leave something outside their hogan for the skinwalker. Eventually with times changing people forgot about the skinwalker and stopped leaving things for them. This led to resentment among the poor and they turned on those who forgot them. And now they exist as a hateful people out for revenge. Finally there are those who tell of the skinwalker as a medicine man. It was started by the Lakota, when they would dress up like wolves to hunt the bison. The tradition made its way to the Navajo people and it was adopted by the medicine men. However, in this legend it does not explain how the Skinwalker became full of hate for his fellow tribe. Many Navajos believe the Anasazi had a lot to do with the wichcraft that runs in their community. Thus, Anasazi ruins and graves are strictly taboo. It's said that a skinwalker will use the bones of the Anasazi for their charms. According to Raymond Friday Locke in the Book of the Navajo, the practice of animal emulation began with a hunter who thought of using the head of a deer so that he could approach them more closely to kill them. He was unsuccessful until the Gods came and showed him not only how to make the mask but how to emulate the animal. The practice of wearing the skins of the deer and emulating them began for the purpose of hunting. Locke also links the practice of witchcraft involving animal emulation and shape shifting to the Navajo folk tale of Coyote's wife. Believing that Coyote had been murdered, his wife takes the form of a bear and begins to curse and slay her husband's killers with witchcraft. The association of skin-walkers with Coyote is a prevalent belief in both their common usage of coyote skins and reputations of being tricksters.